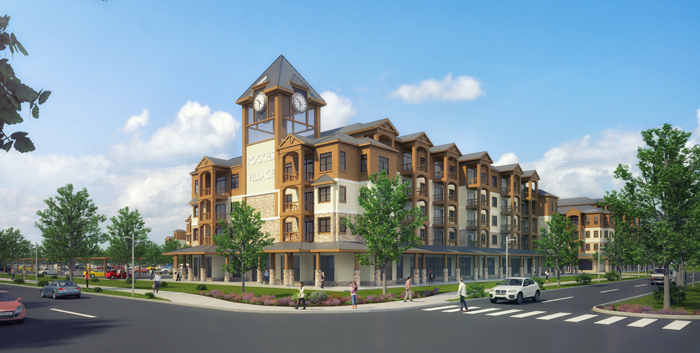 Introducing Rockies Village: The gateway development into the iconic Gaylord Rockies Resort and Convention Center. Another development by RIDA Development Corp. an affiliate of RIDA High Point Land, LLC. Located minutes from Denver International Airport, Rockies Village envelops the Gaylord Rockies Resort and Convention Center (opening late 2018) from the west, south and east. Early plans for the 129 acres of approved land use call for commercial, office, retail, multi-family residential, hotel, parks and open space. 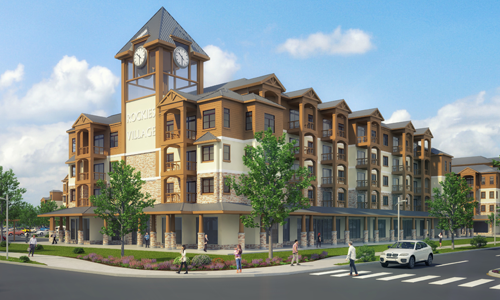 With approvals of up to 500,000 square feet of office, 250,000 square feet of retail, 1,000 multi-family units, and 1,000 hotel rooms, through its variety of offerings, Rockies Village will provide a welcomed compliment to the Gaylord Rockies Resort and Convention Center, Gaylord Rockies guests and employees, and residents living within the development. Now in the predevelopment and pre-leasing stages. For leasing and management information, please contact info@ridadev.com. Coming soon to Aurora, Colorado. All maps and illustrations on this site are artist's conceptions and are not intended to be exact representations. All land uses, sizes and locations are subject to change without notice. RIDA makes no representations or warranties regarding existing uses or future uses of adjacent or nearby properties. No warranties or representation, express or implied, concerning the final design, location or character of the facilities illustrated on the map or illustrations is guaranteed. RIDA, continuing to provide real estate services, namely, rental brokerage, leasing and management of residential and commercial property, offices and office space, as well as land development services, namely, planning and laying out of residential and/or commercial communities, currently at Rockies Village by RIDA High Point Land, LLC.